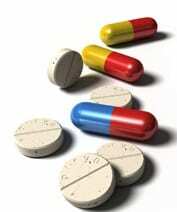 Approximately two thirds of people with epilepsy are able to control their seizures with anti-epileptic drugs (AEDs). You can download our leaflet entitled ‘Anti-epileptic drug treatment’ to read about the different AEDs that are available. Unfortunately, most AEDs cause unwanted side effects, which can lower the quality of a person’s life considerably. Side effects can include weight gain, sleepiness, confusion, unsteadiness, lowered efficacy of the contraceptive pill and harm to an unborn baby. As scientists gain a better understanding of epilepsy through research, they will hopefully be able to develop more targeted treatments with fewer side effects. People who have had many seizures in their lifetime often find that their memory is affected. Memory loss is usually most apparent in temporal lobe epilepsy (TLE), a) because the temporal lobes hold the important memory centres of the brain and b) because TLE is often difficult to treat. The ability to learn (which is closely linked to memory) can also be affected in certain types of TLE. Professor Liam Gray and colleagues, at Cardiff University, were awarded a 24-month grant in 2013 to investigate whether fluoxetine can restore a certain kind of memory in people with TLE. Due to significant delays that were out of Professor Gray’s control, this project is not due to end until June 2018. You can read more about the work here. If you would like to find out more about treatments for epilepsy, you can download our leaflet ‘Treatment for epilepsy’. Explore our site further for information about the causes and diagnosis of epilepsy, and family planning considerations. For our full research portfolio, click here.